Jason Leedle of Black Cat Dairy in Lake Geneva, Wis.
Jason Leedle at Black Cat Dairy describes the four years since he and his family transitioned to robotic milking as smooth sailing. 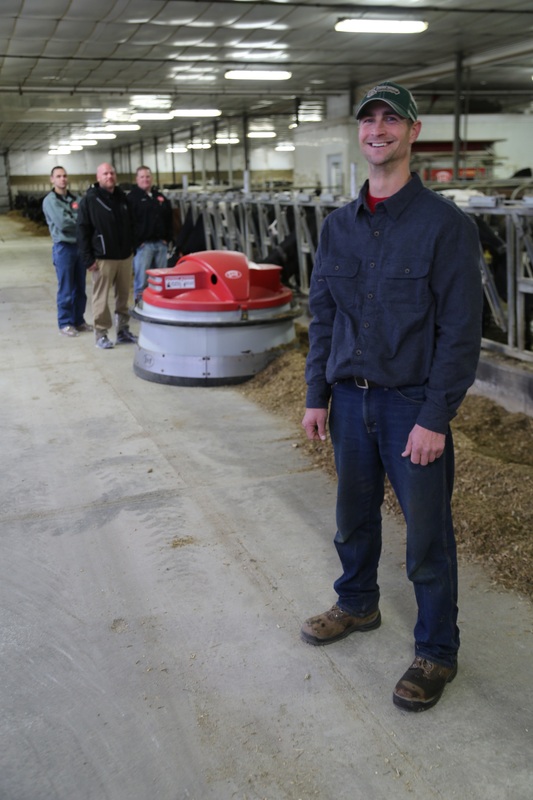 When Jason and his parents, Tom and Jennifer, made the decision in 2012 to install Lely automated solutions at Black Cat Dairy, located in Lake Geneva, Wisconsin, their Lely Center was involved from the beginning. The center first helped the family decide on the best barn design for their operation with eight Lely Astronaut A4 automated milking systems, two Discovery barn cleaners and a Juno automatic feed pusher. Even after the family and cows settled into the new way of life, their Lely Center continued to be a source of advice and guidance. The Farm Management Support team regularly sends information to help the Leedles maximize production, reproduction and overall profitability, while the Technical Service Support specialists standby to help with troubleshooting, repairs and maintenance. Leedle said, while he was confident his family would receive support, the transition has been better than expected. He points to the fact that he knows someone will answer the phone anytime he calls. See Leedle's Black Cat Dairy here.